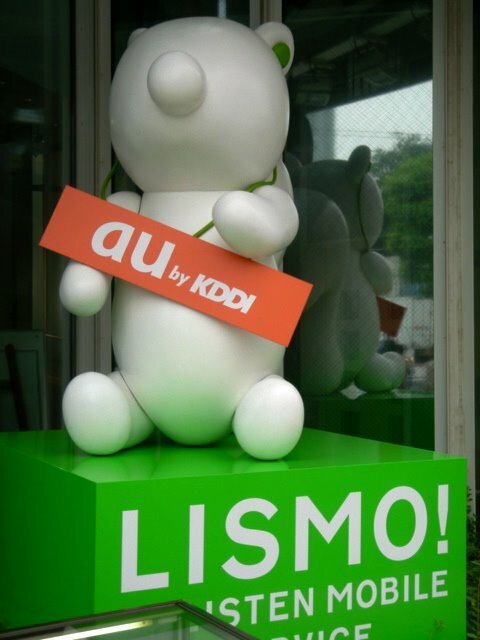 Judging from the prominent spot in front of the KDDI Designing Studio in Harajuku, KDDI appears to be turning its LISMO squirrel (which was originally introduced as part of the promotion for the mobile music service LISMO! last year) into a mascot for the whole brand. It seems to be quite obvious that this is a response to the huge popularity of NTT DoCoMo's mascot Docomodake, which have been cleverly expanded to form a whole family. Compared to them, LISMO still seems to be lacking in cuteness, probably caused by the decision to leave the character without eyes. But who knows - LISMO might be up for a relaunch soon. Train operator JR East has done this very successfully for its SUICA mascot. 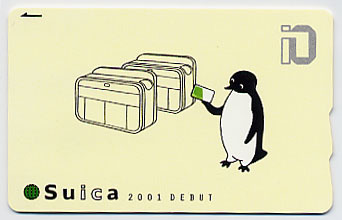 When introduced in 2002 (left), the SUICA penguin did not look cute at all (again, the problem seems to have been with the eyes). A covert relaunch in 2005 (right) gave the mascot larger eyes and a facial expression, and the SUICA penguin is now so popular that it it even has its own range of SUICA merchandise on sale at train stations.